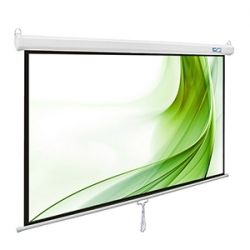 Fixed Frame Projection Screens are among the most popular projector screens, especially for home theaters, Boardrooms, Auditoriums, government facility and anywhere a permanent wall-mounted solution is suitable. Our huge selection of screen materials, frame types, aspect ratios and sizes provide customers with a variety of options to choose from. 1. The screen surface provides a 1.1 gain and an exceptionally wide viewing angle at 160 degrees with no resolution loss at any viewing angle. 2. Heavy duty beveled aluminum frame wrapped in light-absorbing black velvet material for a beautifully crisp viewing image. 3. This material is 4K Ultra HD and Active 3D ready, boasts full tension uniformity, and is fully black backed to eliminate light penetration. Black Backed and Easy to Clean with Mild Soap & Water. 4. Quick and easy assembly with tensioning rod/spring system ensures that you can bring cinema-quality entertainment to your home in just a few minutes. 5. 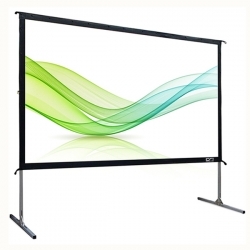 Enjoy an ultra flat projection surface via the newly designed spring tensioning system and a plush black velvet finish aluminum frame that absorbs projector light overshoot. 6. Cynthia Screen is focused on providing the best quality products at affordable prices while offering exceptional service.